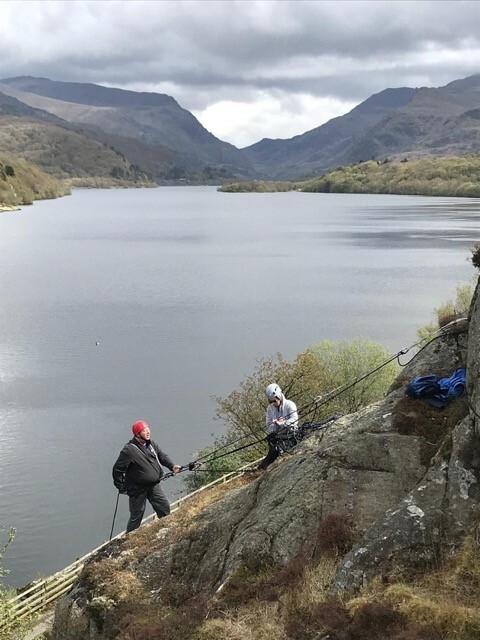 Exercise Dragon Capel was given to the name of 203 Welsh Field Hospital adventurous training phase of the Annual Camp 2018 happening at the end of April 2018 based out of Capel Curig training camp in the heart of the mountains of Snowdonia. 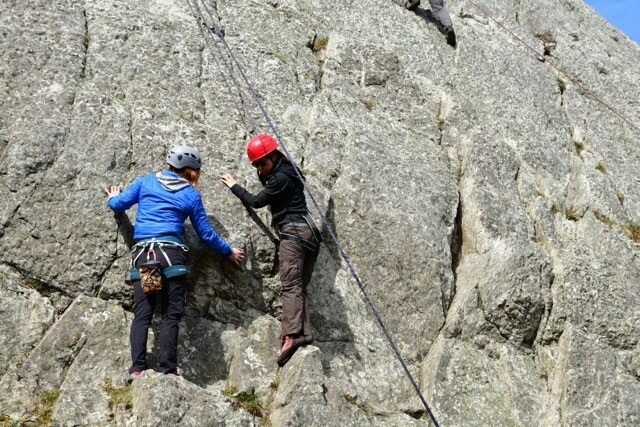 The package offered participants a 5-day variety of activities with the main aim of challenging participants both mentally and physically in order to highlight leadership skills, stamina and show ‘true grit’ in the unit’s personnel. Because the choice of activities was so diverse, it allowed different personnel to shine at varying activities that might previously have been undersung in their unit position and clinical role within the Field Hospital. Hence, this allowed co-workers to develop a greater appreciation and respect for each other when they could see one another in a different light. The other aims of the week was to introduce personnel to different sports which previously they may never have had the opportunity to try and to hopefully inspire participants post event, to reach out into their stretch zone in terms of adventurous training and continue to develop into leaders in their chosen discipline. This latter aim would obviously have the benefit of not only developing the individual but increase the pool of leaders and instructors we have in 203 needed to assist or organise future events. The total number of personnel completing or instructing on the round robin of activities was 65, which consisted of 24 Officers, 15 Seniors and 26 Corporals and below. They were split into 9 groups according to their fitness level to keep the pace consistent on the walking phase. 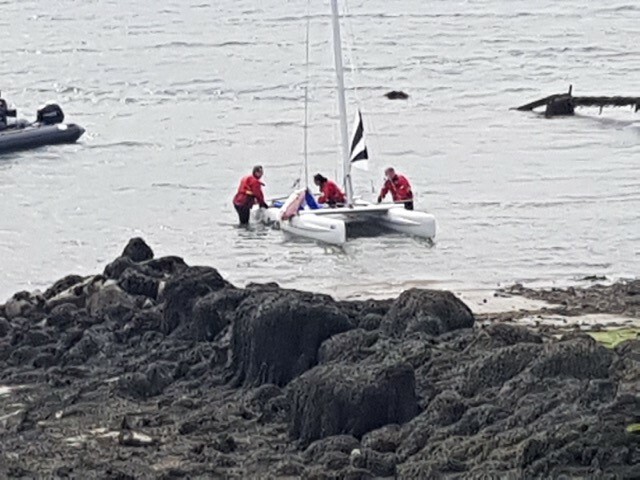 In total there were 13 instructors, which impressively came mostly from 203 but with a few external instructors who kindly volunteered to help out from both 205 Fd Hospital Reserves and 22 Field Hospital. The itinerary involved 2 days of walking the North Wales Path from the medieval town of Conwy with and overnight bivvy around Abergwyngregyn and the following day finishing in Bangor. Although we had steep uphills at the start, once we had reached the top of the mountain path we were awarded with amazing views of the North Wales coast and the calming expanse of sea. 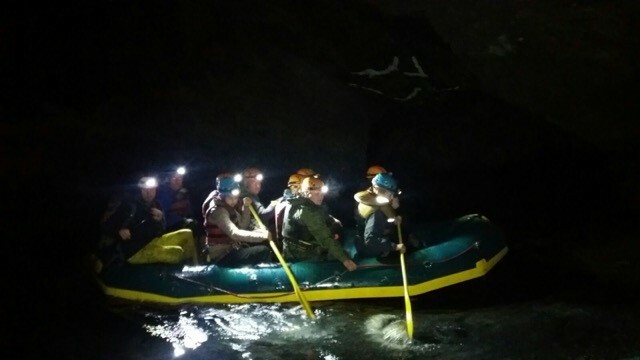 Because it was an overnight expedition it allowed us to really get to know the others in our groups who previously we may not have spent time with because they are in other departments or detachments spread throughout Wales. Returning to base at Capel we prepared for the next day of open water swimming with the grand aim of swimming the width of the lake or at least immersing ourselves in the cold water of the lake and having a go for those less keen on water activities. 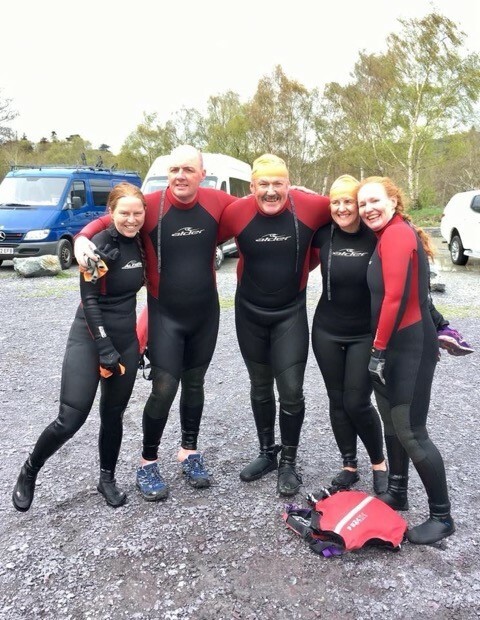 We used an external local company to cover this activity and they supplied us with wetsuits, which offered some buoyancy and a degree of warmth. The water felt like it had come off a glacier, and there was a lot of high pitched noises coming from the immersing group as our bodies coped with the cold. 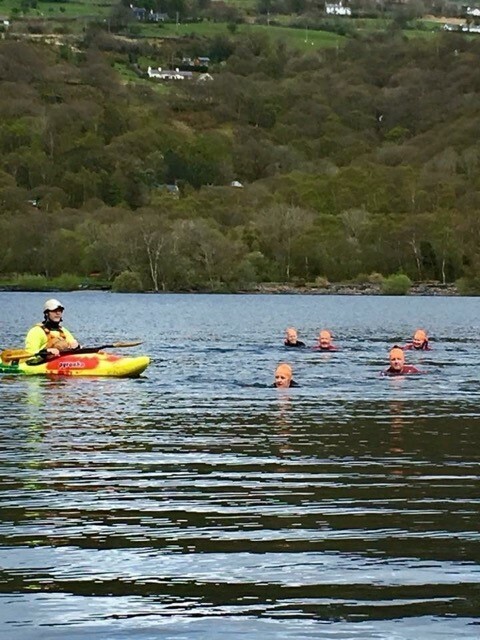 Many of the unit would never dream of doing open water swimming, nevermind at this time of year but all gracefully accepted their fate and had a go with some heroes completing the whole challenge set. 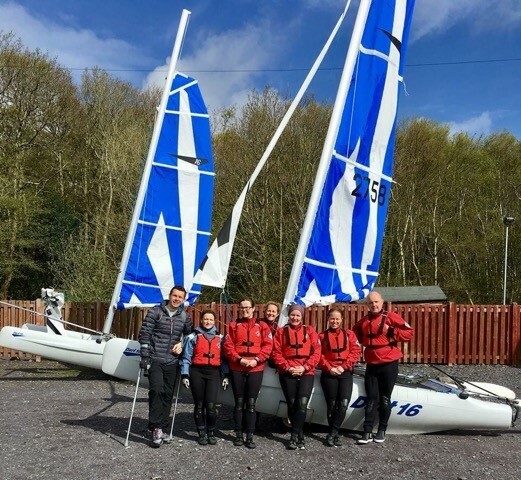 Post lunch we headed over to the Nuffield Centre on Anglesey to partake in dinghy sailing where there was a few professionals with sea-faring past lives emerging from the group. I was not so skilled and hence our boat did do many additional zig-zagging across the water. 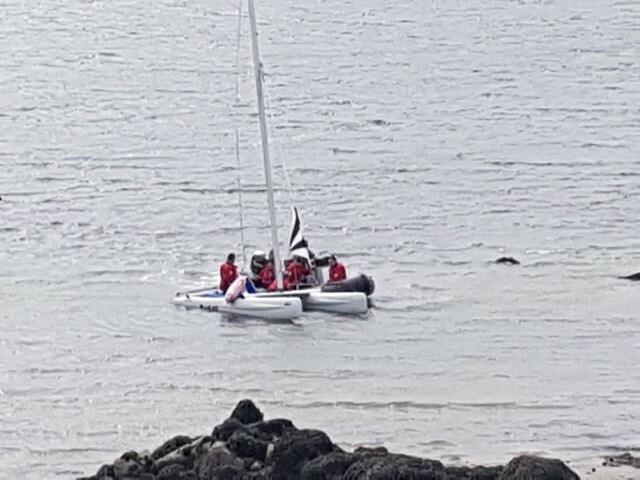 This was challenging as we sat in the Menai Straits with the tide going one way and the wind going the other and more than one moving part on the boat. It took a lot of brain power to figure out how to move in the desired direction at a speed faster than a snail. Not my strongest activity but I learned a lot from others that were eager to coach and hand over tips and tricks. After that wet day, day 4 was much drier. 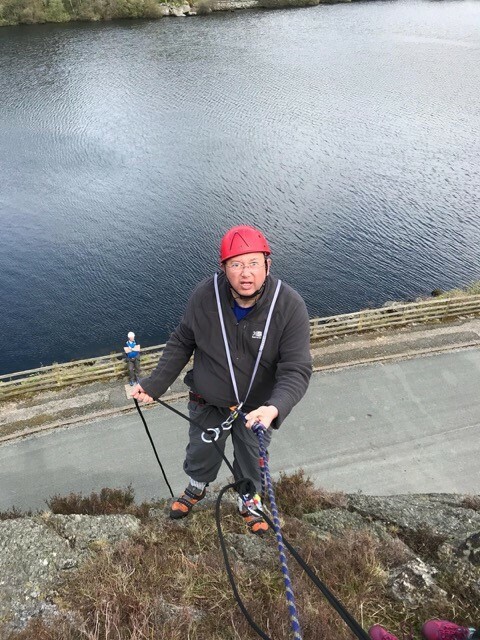 It involved outdoor single pitch rock climbing and mountain biking around the Llanberis area through the historic open slate mines. This was staffed by our own personnel so trust was immediately there and with their coaching abilities made everyone stretch their learning zone. 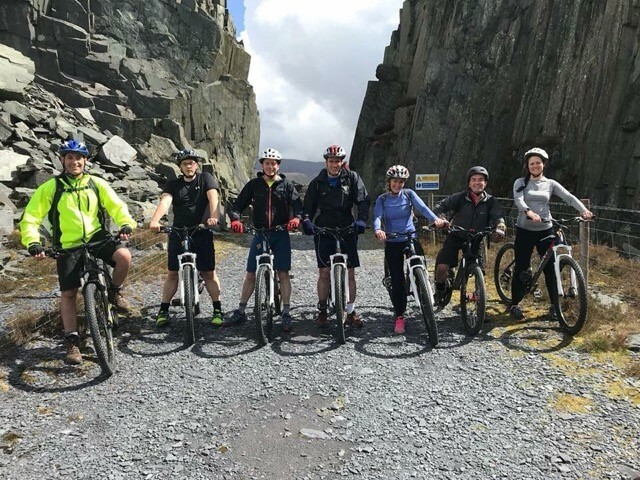 Because there were two mountain biking instructors it meant that we could split into ability groups as there was a broad range of skills from being ‘never ridden’ to ‘gutsy riders’ and all could be challenged. The final day for my group was the Underground Mining Adventure run by the local company ‘Go below’. This was immense, as we got to travel back in time and spend a day in the working environment of a North Wales miner. The leader was informative and we learned that conditions were tough with slate dust clogging the miner’s lungs, poor nutrition, long days, only a candle to light their way and minimal safety systems. This meant that life expectancy was low in the mines. This was an issue for the miner’s family as the house came with the job……lose your job and your family becomes homeless. It therefore, meant that all generations down to boys as young as 5 were working in the mines. 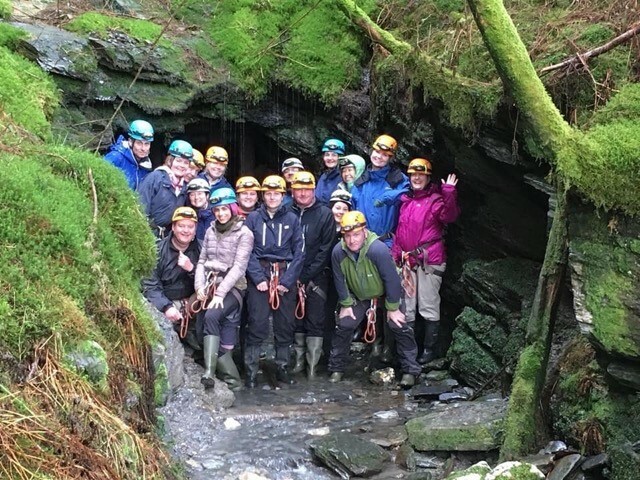 Nowadays however, what was toil and sweat and hard work had been turned into an adventure playground of secret caverns, zip-wire, abseils and high clip lines testing our groups fear of heights, dark and claustrophobia. It was an amazing opportunity to not only test fears and support each other but also to learn about a part of the Welsh culture which, being the only Welsh Field Hospital, was close to our hearts. To sum it up each day we were taken outside our comfort zone, some more than others on different days, which allowed people to give and take support throughout the week. Adventurous Training weeks like these that are outside the primary function of the Field Hospital have the added effect of acting as a recruiting tool and maintain retention by increasing the cohesiveness of the Unit’s social community and hence are an important part of Reserve life for many members.